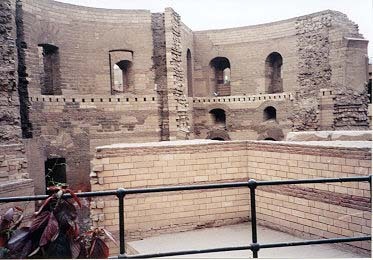 The Roman gate towers shown in this photo are part of the fortress which protected the Roman town of Babylon-In-Egypt from the time of Trajan to Arcadius (98 AD - 395 AD). The gate towers are Trajanic, and have been heavily restored. The town's unusual name was given to it by the Romans, because the Egyptian name of the town sounded like "Babylon" to them. It located in Coptic Cairo, next to the Coptic Museum and just across the Nile from Giza. In the fourth century AD, the Metropolitan Church of St. Mary was built near this site. St. Mary's is given the nickname of the Hanging Church - or better, the Suspended Church - because it was built directly on top of the Roman fortifications. More churches followed over the centuries. 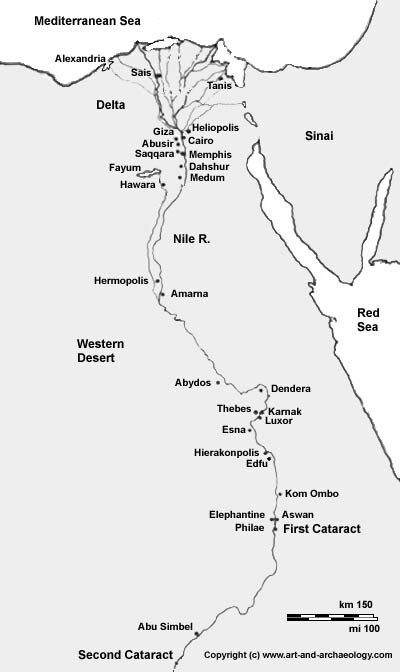 After the Muslim conquest in the 7th century AD, the center of Christianity in Egypt gradually contracted to a small nucleus of churches which can still be found here today.